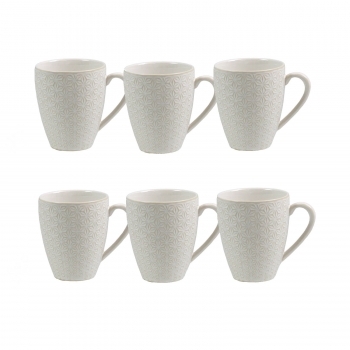 Beautiful textured 6 piece set will bring you comfort with every cup. 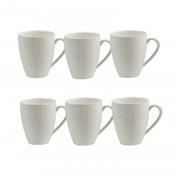 Stoneware is microwave and dishwasher safe. This set ships in a re mailer box.